Emergency Dentists USA has worked hard to be able to provide you with a list of 24-hour emergency dentists in Corpus Christi. We know that tooth pain can be very aggravating and it can even cause you to miss out on work and other activities that you enjoy. While you can take an over-the-counter medication to alleviate the pain, you will find that it does not work after a while and you are still in the painful boat you were once in. Dental pain is no fun and it can diminish your quality of life until the problem is corrected. Before you start to learn how to live with the pain, take a moment and scroll through the emergency dentists in Corpus Christi below. You will be able to identify which ones offer 24-hour appointments and you can call them to schedule immediate care for yourself. In addition to 24-hour clinics in Corpus Christi, you will also find clinics that offer after hours’ appointments and walk-ins. As you start your search for an emergency dentist in Corpus Christi, you will quickly find that most dental offices only offer traditional care during business hours and these business hours are from 9:00 am until about 5:00 pm, Monday through Friday. This does not work for most people and will mean that you are left to deal with your dental problem all weekend long or until you can get enough time off work to receive care. Now that is inconvenient. There are many options for emergency dentists in Corpus Christi and that means you can receive the dental care you need, when you need it. Emergency dentists work around the clock to ensure their patients’ mouths are taken care of and pain free. Corpus Christi offers 24-hour emergency dental care to patients and you can call these offices to find out when they can see you. Typically, you can be seen any time of the night, even after midnight! If you are suffering from severe dental pain or you have a serious dental emergency, this is the best option for you. In addition to emergency dentists, you will also find after hours’ dentists in Corpus Christi. These dentists are open later than the traditional business hours to provide you time to come in and receive care. Most after hour offices in Corpus Christi are open until 8:00 pm. Tooth pain can knock you back and it may even cause you to shed a tear or two. Once tooth pain has started, it can be extremely hard to get rid of and you may be looking for an emergency dentist in Corpus Christi. Fortunately, we have made the entire process of head hunting for a dentist easy. All you need to do is look at the list of emergency dentists in Corpus Christi below and choose one to call. You will be able to make an appointment for immediate dental care. Description Call to be connected with the perfect dentist for you. 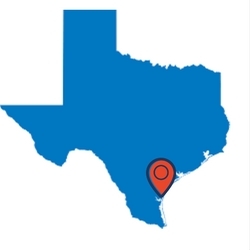 Corpus Christi is a large city and we have the connections to find a dentist to fit your needs, and can get you an appointment immediately. This excellent facility offers a weekend dentist in Corpus Christi, TX, to those who may find themselves in need of urgent dental care. Offering general dentistry services to it patients and welcoming walk in dental emergencies, this facility is one of the few dentist open on Saturday in Corpus Christi with appointment availability from 9:00 am to 3:00 pm. So if you seek after hour and weekend dentistry services due to an unexpected and distressful tooth ailment, you may want to visit this practice. Description:Aspen dental is a clinic that has weekday hours for your convenience, and is open until 5:30 PM on Monday through Thursday. You can still get some quick dental attention here on Fridays until 1PM, no matter what the circumstances are. Anything from cracked teeth and broken crowns on up to the potential for an abscess or other dental issues can be taken care of here in this Corpus Christi dental clinic. Description: Apple Dental Center is a great choice for those in Corpus Christi who are in need of a dentist on Saturdays. They are open from 8 in the morning until 1Pm on Saturdays, and until 5 during the week. Here you can find professionals to give you attention for issues ranging from a sudden toothache, cracked or broken teeth, or other issues such as injury to the jaw. Don’t rely on self-diagnosing your problems to keep you healthy, and see a professional to get help. 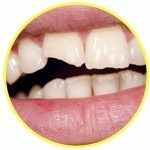 This practice is completely committed to restoring and enhancing the natural beauty of your smile, but is also a very competent location that can get rid of your dental emergency! This practice will make every effort to see someone with a dental emergency as soon as possible, and treating every patient as a special individual will make the visit as pleasant as possible. Both of these dentists are Texas natives, and love providing service to individuals in their home state that are coping with massive tooth pain. Predicting what is going to happen to your dental health is nearly impossible. You can always contact Dr. Boss to schedule an appointment for you within the next 24 hours, and your severe need will be seen with confidence and professionalism. A broken or lost tooth, need for a root canal, filling, broken crown, or abscessed tooth will soon be met by an excellent practitioner, and you won’t be kept awake any longer by the pain that is plaguing you. Testimonials claim that this practice does far more than just seek to bill large revenues, and is a true blessing to everyone experiencing a dire emergency. When you schedule a Corpus Christi emergency dental appointment, you can expect it to be like a general dental appointment that you would go to any other time. Before you head into the office for treatment, you should inquire about the cost of the procedure. You can ask for some general costs if you do not know what the procedure you need to have done is. You should inquire about what payment methods are accepted and let the receptionist know if you have dental insurance so they can provide you with an accurate quote for the procedure. If you have never been to the dental office before, you will be asked to fill out some paperwork and should arrive a little early to allot yourself time to do so. The paperwork will ask you general questions about your dental and medical history to ensure proper treatment is administered to you. If you have been to the office before, you may need to update your information on file. If you do have any allergies, you should let the office know so that they can accommodate your needs. In addition, let them know if you suffer from dental anxiety, as sedation options may be available to you. Do you have dental pain? Are you tired of it? 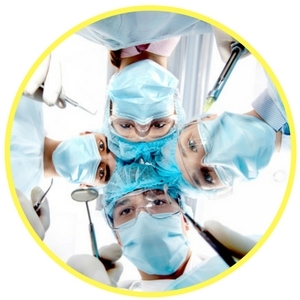 If so, it is time that you receive quality emergency dental care in Corpus Christi. 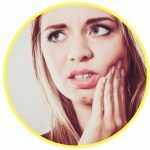 There are many common dental emergencies that you can experience in your mouth and some of them occur rapidly while others take some time to form. It is not a time to simply accept the pain and move on because a delay in care can make the problem much worse. All dental emergencies need to be evaluated by a trained dental professional and handled in a timely manner to prevent the spread of an infection or tooth decay. Emergency dentists in Corpus Christi are ready to look at your teeth to determine the root of the problem and treat it. 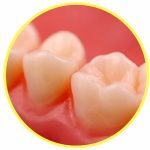 Reading any of the advice provided to you on emergencydentistsusa.com is not a substitute for professional medical advice and should only be used for information purposes. If you are experiencing any of the conditions below, call your local Corpus Christi emergency dentist. Fillings can come out of your mouth when you chew on a sticky substance or when your tooth’s structure is tested and loses some of its integrity. You can take a piece of sugar-free gum and place it into the hole in your tooth where the filling once was. It is vital that you choose sugar-free or you may experience some pain caused by the sugar in the gum. Also, you could use an over-the-counter dental cement in place of the gum. If you have lost your filling, you should see your local Corpus Christi emergency dentist as soon as possible. ou should place a small amount of clove oil on the tooth to stop any pain and then try to place the crown back over your tooth. If you can place it on the tooth, clean out the inside of it, place a dental cement inside of the crown, and then attach it to the tooth. It is imperative that you do not use super glue on your tooth or crown. If you have lost a crown or it has fallen off, you should call a local Corpus Christi urgent care dentist to provide you with the dental care you need. If you have chipped your tooth, it may have happened because you hit it on a hard object or you bit into a hard piece of candy. It happens. The first thing you should do is save the pieces that you can and then rinse your mouth out with warm water. If you find that you are bleeding, you should apply a piece of moist gauze to the area and apply pressure for 10 minutes. You can also apply a cold compress to the exterior of your cheek where the chip happened to reduce discomfort and swelling. If your tooth is chipped, you should call an emergency dentist right away so they can provide you with the care you need and restore the look and function of your tooth. Most patients will recover from the extraction in just a day or two and there are no further complications with the site. Your emergency dentist will provide you with aftercare instructions that should be followed when you arrive at home. In addition to those aftercare instructions, here are some tips to alleviate any discomfort. Apply cold compresses to the exterior of the cheek where the extraction was performed. Keep your head propped up when you lie down. Place a piece of moist gauze in your mouth and bite down to stop any bleeding that occurs. Eat soft foods until the site is completely healed. The number of patients that head to an emergency room when they experience a severe dental condition has increased, but this may not be the correct and best option. Yes, the emergency room does treat emergencies, but only medical emergencies. If you happen to go to the ER with tooth pain, they will not turn you away, but keep in mind that they cannot provide you with the dental procedure you need either. They will look over your mouth and may prescribe you with medication until you can see your local Corpus Christi dentist. There are times when you should go to the ER and that includes when you have fallen and hit your head, sustained trauma to your mouth, have a head injury, or have broken your jaw. In these cases, the ER can help you. Emergency dentists work with patients around the clock to provide them with the urgent dental care they need. These dentists have the tools and equipment to ensure you receive the dental procedure you need. If you cannot find a local emergency dentist, you should head to your local emergency room to receive care. While they will not perform the dental procedure you need, they can prescribe you medication to alleviate the pain you are feeling. Tooth pain is not something to play around with and delayed care will lead to serious problems in the future. You should see a local Corpus Christi emergency dentist today! Emergency Dentists USA is a portal that is intended to be used for informational purposes only and not to be used to replace the advice of a medical professional. If you are experiencing a dental emergency, you should call 911 immediately or head to your local emergency room. We do recommend that you check the local Texas dental society to verify the credentials and licenses of any new dentist you plan to visit. You can also visit the Texas Dental License and Registration Search and the Texas State Board of Dental Examiners. Which is the top 24 hour emergency dentist office in Plano, TX?